One of my favorite aspects of pattern-making is enlisting pattern testers to try it all out, before it goes live. I used to dread that part because I’m antsy, and it adds more time to the overall process. Then one day I realized how freaking awesome it was. Sewers from various skill levels were willing to try out my pattern, give me detailed feedback about what worked, what didn’t work, and how I could improve it….and then they’d take darling photos of their creations and share them online? 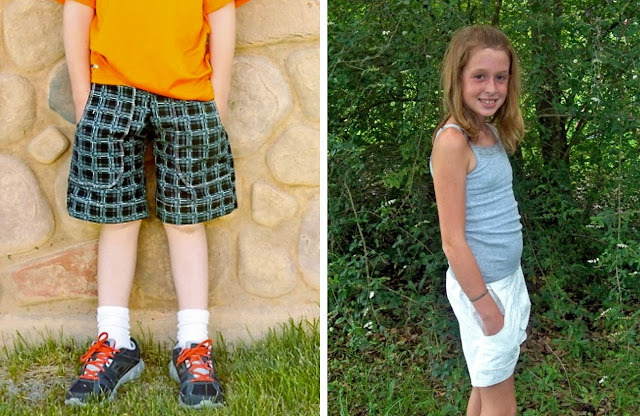 And I couldn’t have made the KID Shorts pattern without them. Their suggestions were spot-on. 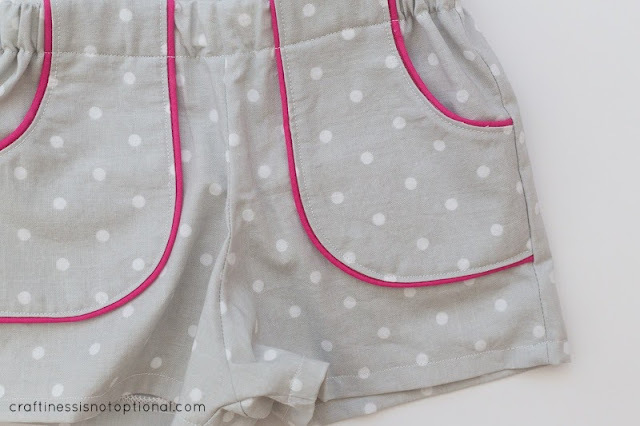 And their shorts are adorable. And—btw—the shorts YOU have been making are killing me in the flickr group. I need to do a You Made it roundup as well…. 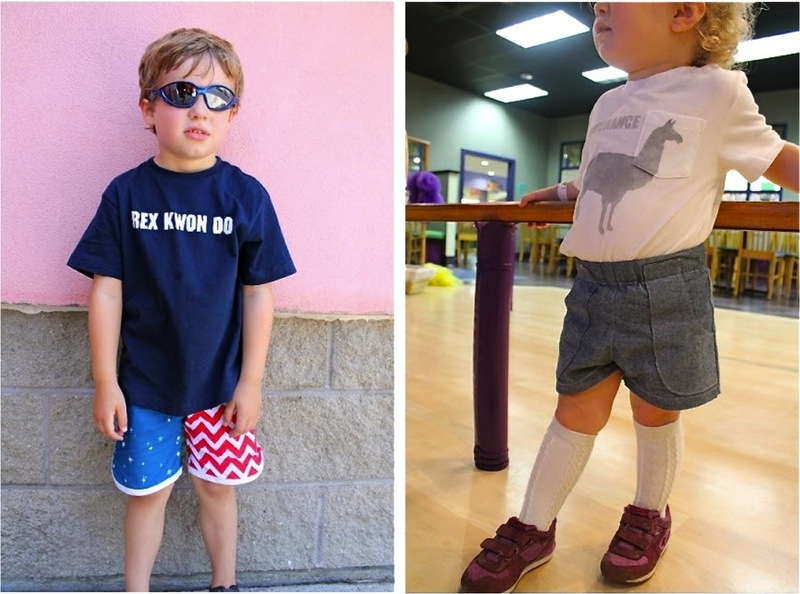 So here’s a taste of what our KID Shorts testers sewed up (click their links for more photos and info). 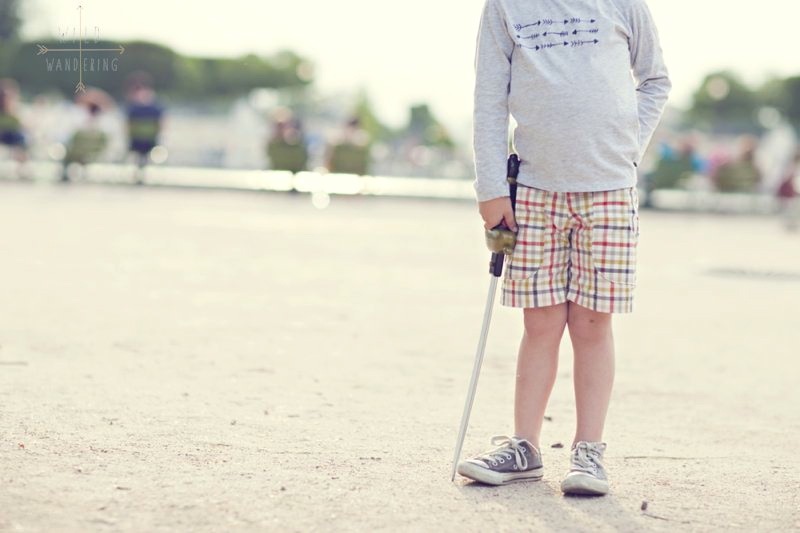 Tiffany from Craft, Interrupted went for a pirate theme, and made an extra pair for her son (below). Love me some patriotic pirates! Brandyn, another tester, went with summer white. Beautiful simplicity. 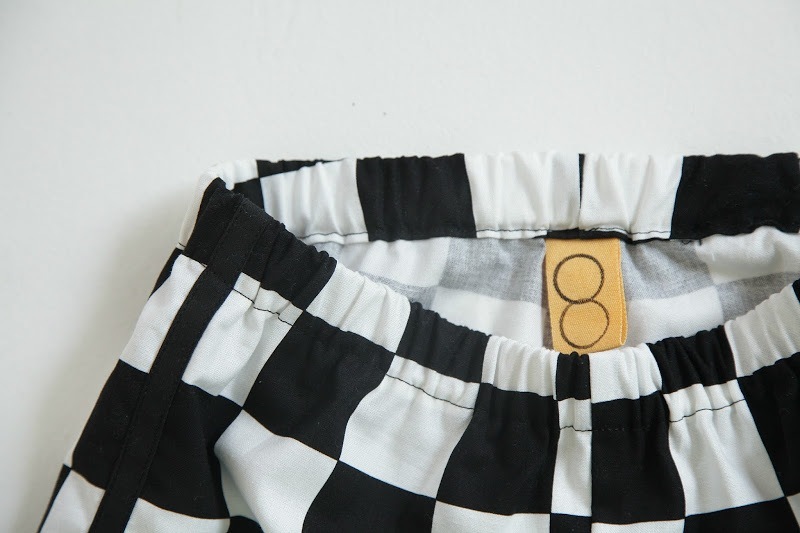 Kelly Crawford of Wild Wandering made shorts from a sheet! I want a sheet like that. And I want shorts like that. And maybe I want to live in Paris with Kelly and her family. You must check out her site….all her photos are in gorgeous locations. 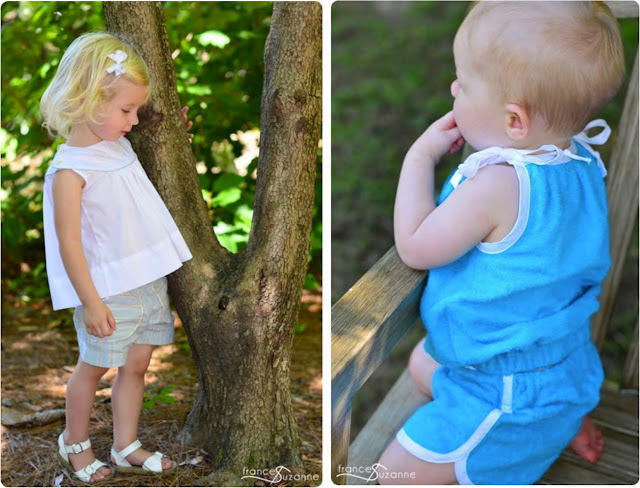 Ashley from Frances Suzanne sews mostly for her two nieces, and aren’t they darling? A whimsy summer look on the left and eek! terry cloth! on the right. How cool is that?! I love it. And with a matching top too. 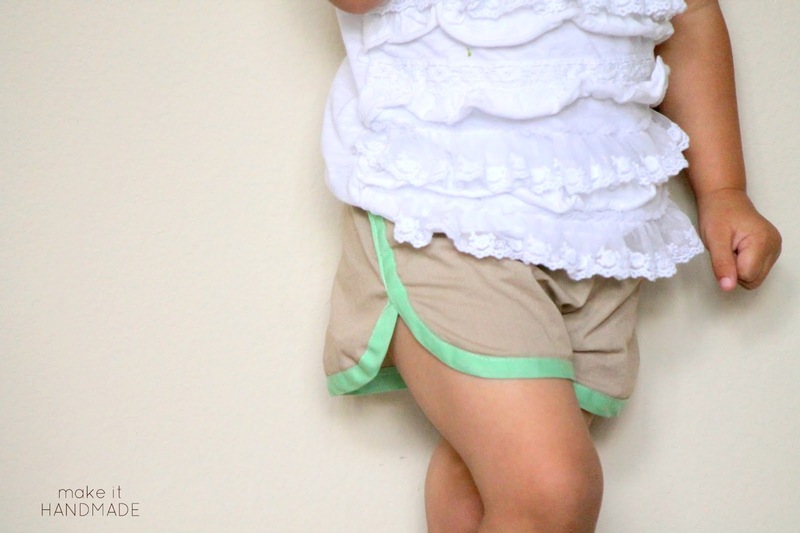 And this photo of her daughter just makes me smile….the shorty-shorts, the ruffled top, the mint! Jessica from A Little Gray used the pattern for their Film Petit series, to make a killer Rex Kwon Do and a Llama ensemble—a la Napoleon Dynamite. Dude. Check. it. out. 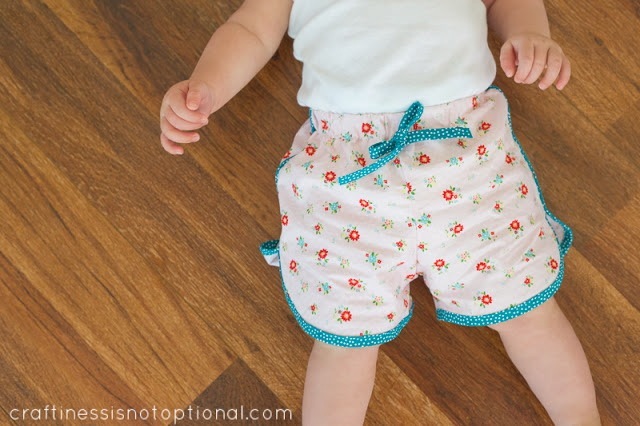 Jessica from Craftiness is Not Optional sewed her little shorts off here and here. I swear she could win a speed-sewing contest. She made about 5 or 6 pairs, for multiple birthday parties, and if you follow her on instagram, you know what I’m talking about. She’s always up to something fun! Hola from Delia Creates! Don’t you love Delia? Everything she makes is cool, interesting, inspiring, and really well done. 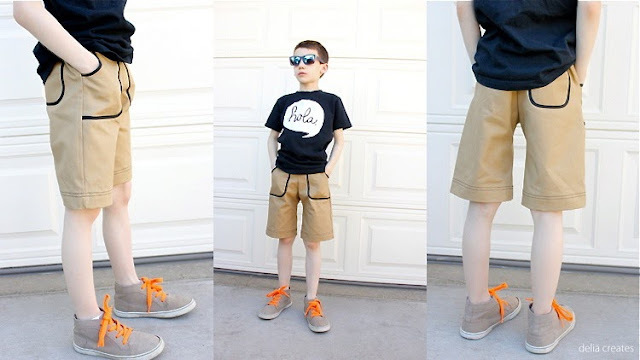 Like these tan, trimmed-out shorts and the gray ones below. She’s a professional. I’m happy I know her. Shannon from Little Kids Grow tried out the older kid sizes for me and gave great feedback (in her spare time, between 6 kids and early pregnancy pains. Thanks Shannon! )….and she topped it off with yellow piping. Mmmm. Check out her site for great sewing ideas. Lastly, Miss Katy made it no big dill with her signature touches, happy action shots, and all that amazing stuff that makes you want to jump into the computer screen and play at her house for an hour. Want to meet me there one afternoon? I’m sure Katy won’t mind? Thank you, thank you ladies for all your help and for sharing your talents with us….and your cute models too. 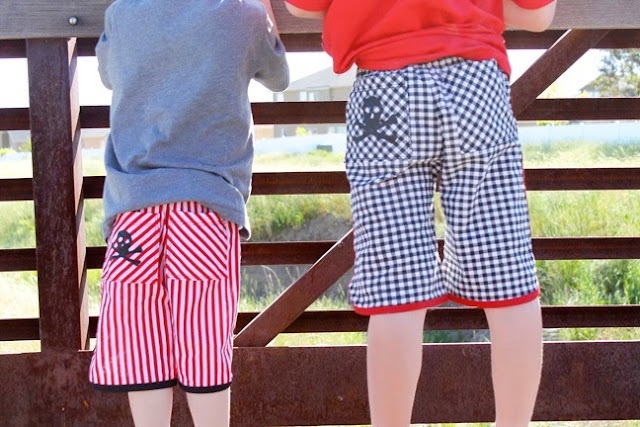 You can purchase the KID Shorts pattern here. Yes!!! I agree with Jess… Now I have so much stuff I want to try with this pattern! Thank you! 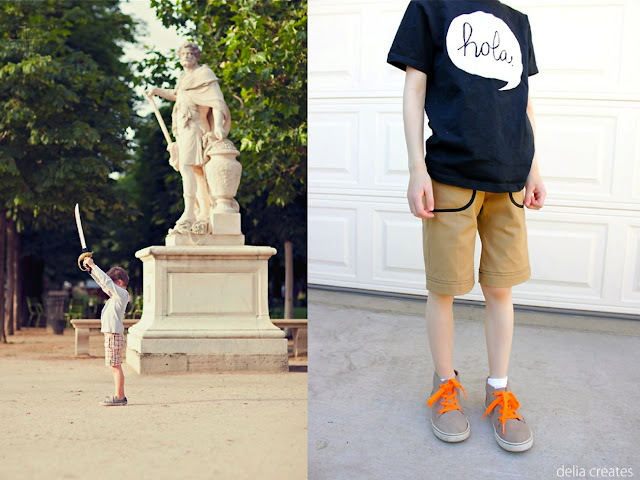 Are you ever going to show how to make grown-up versions of these shorts? i want a pair for me! Great pictures, thanks! Are you going to do a final tutorial on back pockets? I’m a returning sewer after decades of not sewing much other than patches on knees of jeans and am sadly out of practice, so I don’t find processes to be intuitive the way a more skilled person would. I still need a lot of hand-holding, but my small grandchildren appreciate the results. 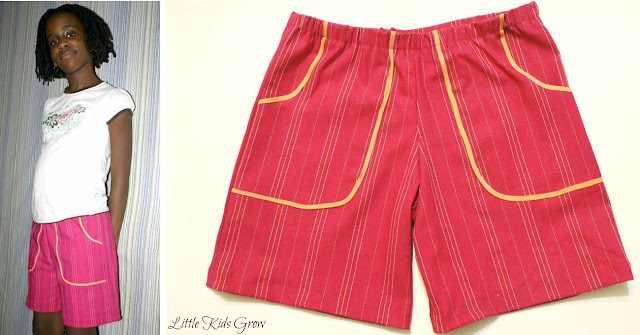 I’m so glad I found your site–the sister/brother red shorts with the (made by me) bias tape-bound pockets are ready to go into the mail to Southern California. Loving the testers takes on your shorts pattern. I love it, too. 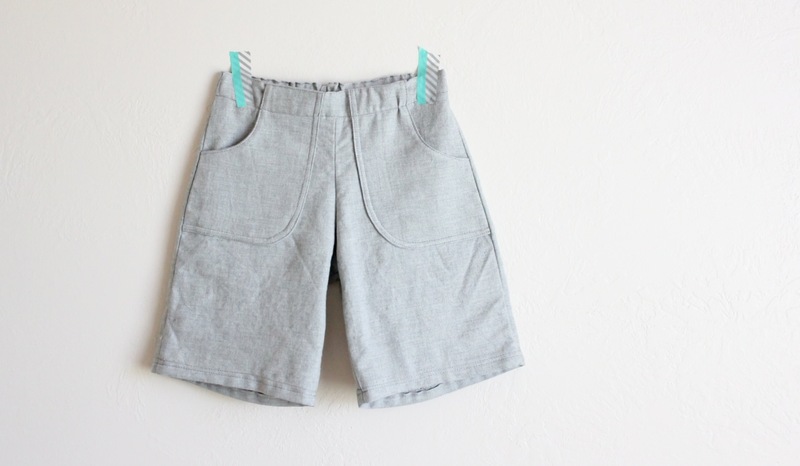 Now, I want to sew more shorts…oh, if fall wasn’t around the corner. YESSSSS! Come over and play! But longer than an hour. Or we should just meet in Paris with Kelly. Very fun to see the smorgasbord of talent and creativity. Let’s have a blogger meet up in Par-eee! I’m having a lot of trouble sewing these for my son. 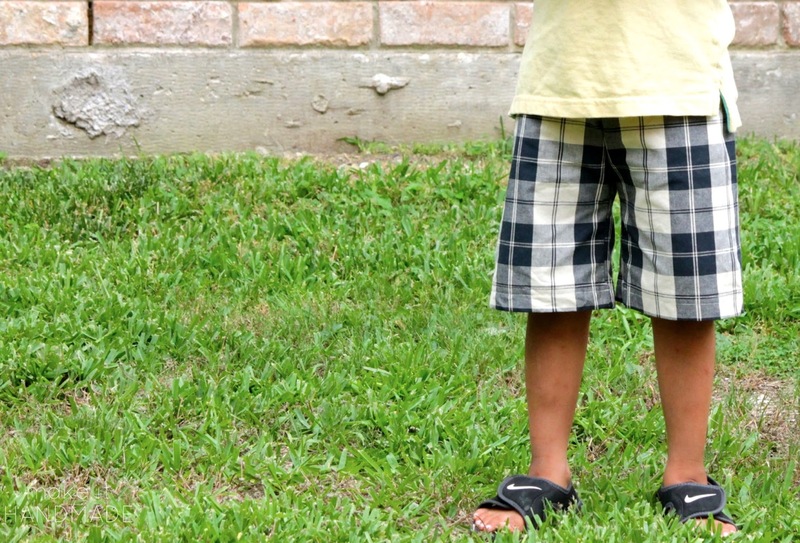 He is 13 months old and even the 2 year old pattern isn’t big enough – partly because he is on the chunky side, and partly because he wears a reusable nappy. Any tips? Thanks for this pattern, especially the larger sizes! My 11yo daughter loved the style with bias trim, and they are long enough for school! I made more kids shorts than anything else this summer, and loved it! Any chance of an upgrade to come with a pants length? I’m with Rebecca…would love to have a pants pattern as well! How much is postage to Australia please?? Would love to get this pattern!!! These shorts are the BEST Dana. I love how easy they are to tweak and make your own! And yes, I want you to come to Paris ASAP! If you ever need another pattern tester I would love to help out!!! I love all your stuff!! And I have lots of kids to try out patterns!! I’ll test patterns! 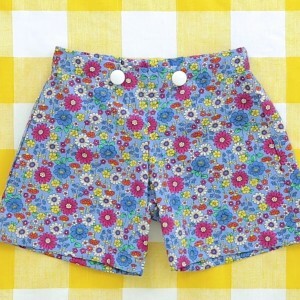 =) These shorts are so cute!